I thought this deserved more than a thumbnail at the end of a post. Had intended start my new Sunday project today, Didn’t happen. Aiming at two Sundays from now. Stay tuned. Update: This is standard cat feeding protocol at Stepping Stone Farm, where I take saddleseat lessons. The only unusual thing about this day is that it was cold. 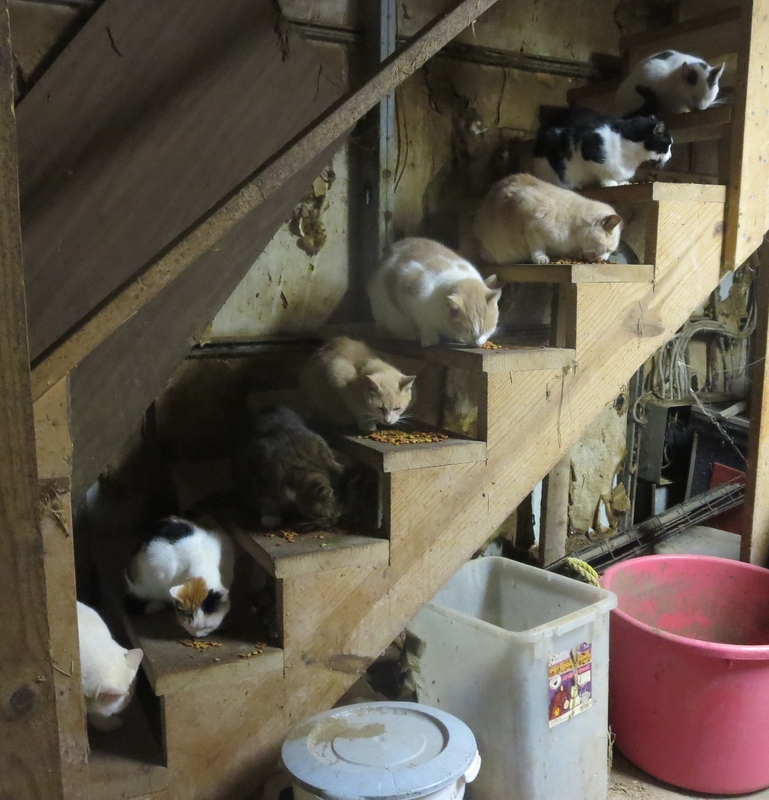 Therefore, all 8 barn cats showed up. SSF? I have to ask: do they do this regularly or was this posed? Either way, cool cats! Adorable! Does each cat have his or her preferred step? How on earth did you manage that one? If it was coincidence, LOVE IT! If you posed it – I’m even more impressed. That’s such a pleasing photo! Next time I’m miserable I’ll have to remember to come back and look at it again!